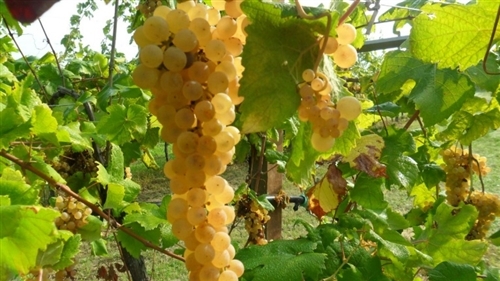 Albana is a 'white berry' grape (with a large, pentagonal leaf, and a deep yellow skin) and was the first white wine in Italy to obtain the Denominazione di Origine Controllata e Garantita (D.O.C.G. ), in 1987 (conforming to DOC laws but also tested by government-appointed inspectors). 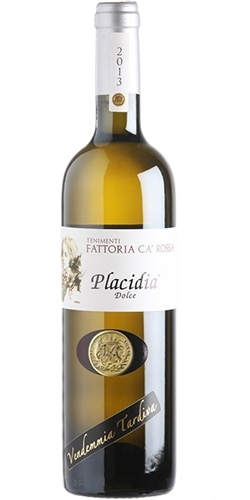 The origin of the “blond nectar of Romagna” seems to go back to Roman times. Mention is made of it in manuscripts of that time which cite Galla Placidia, the daughter of Teodosio. Other people think the name comes from the Colli Albani (Albani Hills), where the Legionaries who colonized Romagna came from. 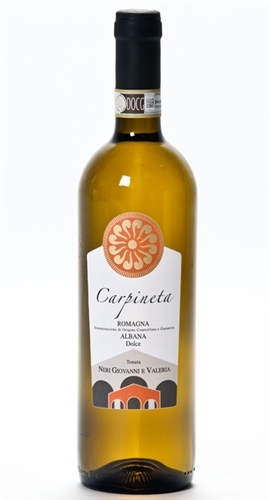 But the most probable origin is 'Albus' (white par excellence), referring to the quality of light grape which is considered the best of all white grapes, and hence Albana. 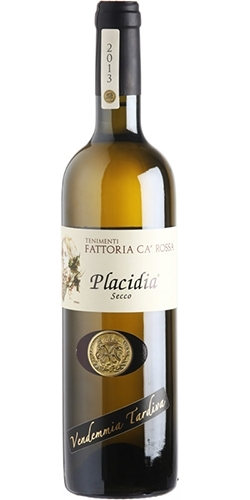 Legend has it that the beautiful blond Galla Placidia arrived in a small town perched on a rock on the plain between Forlì and Cesena in 435 AD: the friendly townspeople were struck by her beauty and offered her their sweet, full-bodied local white wine in a unrefined terracotta jug; she was so enraptured by the quality of the nectar that flowed sweetly into her veins, making her happy, that she exclaimed: “You shouldn’t be drunk so humbly, but DRUNK IN GOLD (BERTI IN ORO)”; according to the legend, ever since then, the town where the queen quenched her thirst has been called Bertinoro. 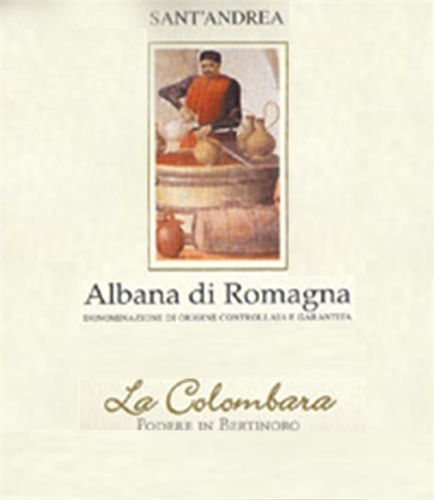 The most typical area of Albana production is that of the 'Spungone Romagnolo', namely from Bertinoro to the hills of Imola, since it has a favourable microclimate (composition of the soil, wind, prominent exposure to the sun and nearness to the sea). Of all the varieties listed above, Romagnol wine producers are most proud of their 'Passito', since it is a superb, competitive wine which has achieved fame and fortune in the last few years, both in Italy and abroad. The wine is obtained by drying the grapes. It has a golden yellow colour, bordering on amber. The bouquet is intense and characteristic with traces of acacia honey, toasted almonds, peach and abricot preserve, spices and, particularly, wood from the barrels it has been aged in. 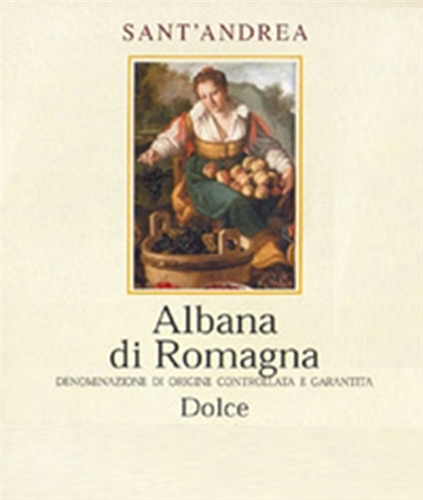 Albana can be served with nearly everything,, with the most suitable dishes ranging from fish starters to quiches, pasta to vegetable and cereal soups and oven-cooked pasta to risottos. Furthermore, it is a pleasant accompaniment to fish dishes as well as to traditional desserts. 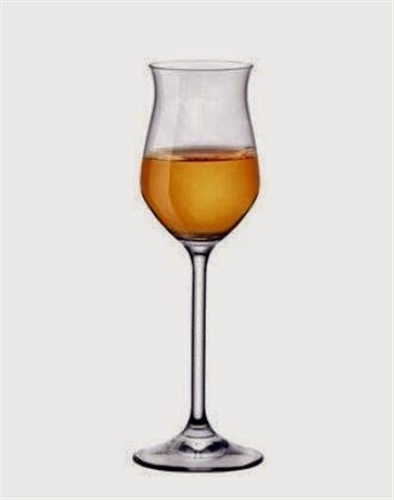 The "Albana Passito" is best drunk with the classic "Formaggio di Fossa" (cheese left to mature in underground pits), served with chestnut honey, fig and quince jelly, Romagnol Savour (grape must cooked with apples, quinces and dried fruit), caramelled figs, as well as all blue-veined cheeses (Gorgonzola, Taleggio di Grotta, etc).